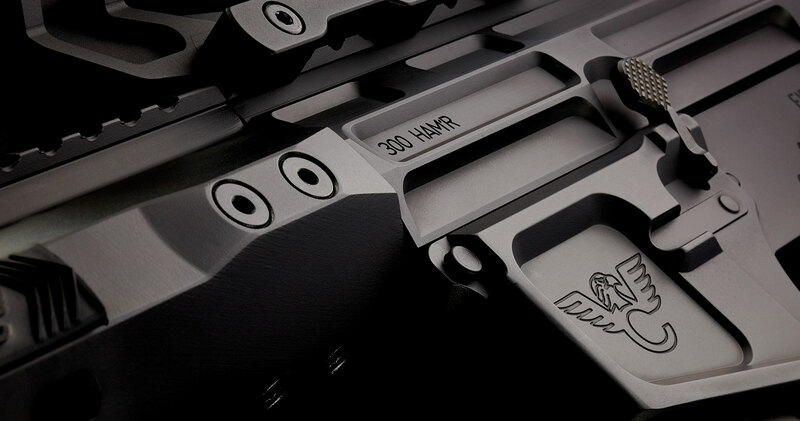 The 300 HAM’R® was developed for optimal terminal performance and offers near .308 Winchester effectiveness, amazing accuracy and low recoil in the lightweight and compact WC15 platform. 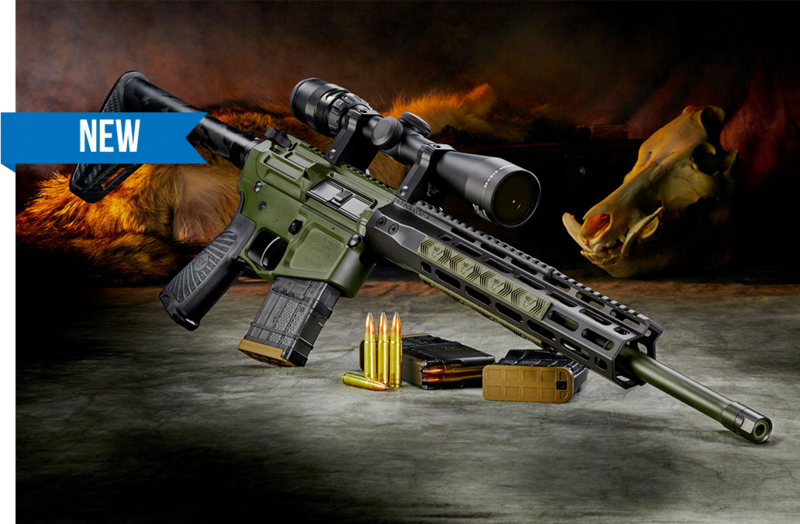 Terminal performance testing on over 200 Texas feral hogs has proven it to kill much more effectively than the 6.5 Grendel, 6.8 SPC, 7.62×39 or 300 Blackout. Due to the optimization of bullet weight to barrel twist, accuracy has proven to be outstanding. Sub one-inch groups are the norm with multiple bullet choices for varying applications such as hunting, target shooting and tactical use. Undoubtedly the 300 HAM’R will be compared to the popular 300 BLACKOUT or 7.62×39 and as the comparison charts below indicate, ballistics of the 300 HAM’R far exceeds the 300 BLACKOUT and 7.62×39 in both velocity and energy when utilizing 110-150gr bullets. I guess you could say the project originally started way back in 2005 when J D Jones sent me one of his 300 Whisper uppers and a set of dies. This cartridge seemed like a good idea to me other than in order for it to fire heavy subsonic bullets a short case with minimal powder capacity was required. Being an avid hunter my primary interest was terminal performance and the 300 Whisper just didn’t get the job done for me. So, at that point I moved on to the 6.8 SPC and did a lot of work with it and killed a LOT of hogs and deer. I’ve always been a bigger bullet is better guy and a .277” diameter bullet just wasn’t exactly what I wanted. Then, in 2008, Remington came out with the .30 Rem AR and I started getting the terminal performance on game that I was after. However, that caliber has its share of issues such as a proprietary upper receiver, bolt carrier group and magazine, and then you add on the fact that shortly after Remington brought this caliber to market they quit supporting it. I never did understand this. Along came the 300 Blackout that Robert Silvers sent me early on for testing. I didn’t see any terminal performance improvement over the 6.8SPC with 110-125gr bullets and it didn’t shoot nearly as flat. I briefly tried shooting hogs with heavy subsonic bullets, but the rainbow trajectory and poor bullet performance on game turned me off quickly. This brings us up to the 7.62×40 originally the brainchild of Kurt Buchert. Kurt’s cartridge that Wilson Combat brought to market as the 7.62x40WT, is a well-balanced cartridge that met Kurt’s requirement for it to accept virtually every .30 caliber bullet in the 110-135gr weight range. However, to achieve this with the long-pointed bullets the case length had to be limited to 1.565” (40mm). Don’t get me wrong, I really like the 7.62×40 and have done a lot of successful hunting with it. But I always wanted more; to at least equal the legendary and time proven .30-30 Winchester in terminal performance. So, I came up with this quest to create a .30 caliber cartridge that could be fired from an AR15 platform utilizing the original 5.56 bolt, and I was going to call it the .30-30AR. Obviously the logical place to start was with Kurt’s 7.62×40. As I mentioned above, the problem was a lack of powder capacity so the first thing I did was to lengthen the throat by .060” to allow for the bullets to be seated out longer. This didn’t gain anything with the long nose pointed bullets that were already being seated out to maximum magazine length. It did allow for me to seat bullets designed for the .30-30 out an additional .060” giving me an additional grain of powder and reducing pressure due to the larger case volume. The result is I gained about 50fps with the Speer 130gr HC which proved to be a VERY terminally effective projectile. Now, I have a problem, we can’t just start chambering the 7.62x40WT with a different chamber! Also, in my opinion, the two main factors that prevented the 7.62x40WT from being more successful in the marketplace was the name and the other was bad timing. When Wilson Combat releases a new and similar cartridge at basically the same time as the SAAMI approved 300 Blackout with Remington Arms behind it, let’s face it, who’s going to win? Therefore, a minor facelift of the 7.62x40WT wasn’t going to meet my goals for this project even if I could get close to the .30-30 in performance. So here I am back to powder capacity, or the lack of and the first step is to determine which bullets the cartridge must be compatible with and decide if this selection is adequate to meet all of the goals for the intended use of the cartridge (hunting, target and tactical). Once I determined the answer was yes, measurements were made to determine how long the case can be and still work with the bullets I had selected. This turned out to be .040” longer than the 7.62×40 or .260” longer than the 300 Blackout. At this point I called Pacific Tool and Gage and worked with Dave Kiff to finalize a chamber reamer. The reamer arrived in early January 2018 and my testing began. It was immediately apparent that there was potential and that we could probably gain 100fps over the 7.62×40 and lot more over the 300 Blackout. My good friend Terrill Hoffman and I shot thousands of rounds testing loads and barrel twist rates since I also wanted this cartridge to be optimized for accuracy. Then one day I was corresponding with Ron Reiber of Hodgdon Powder Company and he strongly suggested that we try their new CFEBLK powder. To make this long story shorter, this ended up being a game changer and the final piece to the puzzle. It gave us improved accuracy and more velocity with less pressure allowing me to exceed my original velocity goals. Once I decided on a 1-15 twist rate for the barrels and we were good on ballistic performance and accuracy, all that was left was to decide on a name and test real world terminal performance. During the early testing we were calling it the .30-30AR. That was the name on the original chamber reamer print and what we engraved on early test barrels. My buddy Terrill said something to the effect of “only us old guys know and care much about the old thuty-thuty”. So we came up with a bunch of potential names and my son Ryan said “we just came out with the 458 HAM’R and we have a trademark on HAM’R so let’s call it the 300 HAM’R”! Now 13 years later, THOUSANDS and THOUSANDS of rounds downrange, several scrap barrels, one upper blown up and hundreds of dead TX feral hogs we have the 300 HAM’R that not only meets all of my original goals for the project, but EXCEEDS them! AS YOU CAN SEE THE 300 HAM’R HAS A SOLID 300FPS VELOCITY AND A 400FP ENERGY ADVANTAGE OVER FACTORY 300 BLACKOUT AT THE MUZZLE. The 300 HAM’R is capable of duplicating the proven ballistics of the legendary .30-30 Winchester from a comparable barrel length. However it does this with much more efficiency taking only 25-28 grains of powder compared to the 34-38 grains the .30-30 requires. No other caliber that can be fired in an AR15 platform rifle utilizing a 5.56/.223 bolt can come close to this ballistic performance! The above chart shows the large advantage the 300 HAM’R has over the 300 BLACKOUT or 7.62×39 at common hunting ranges. The 300 HAM’R has 18% more retained velocity, 40% more energy and a 56% flatter trajectory than the 300 BLACKOUT at 200 yards! Tactical/Home Protection: The 300 HAM’Rs performance in the hunting fields prove the cartridge’s increased terminal performance over it’s 5.56, 6.5 or 6.8 rivals and make it an optimal choice for home-defense. It’s terminal performance and magazine capacity make it a smart choice for tactical use or protecting your family. Hunting: Think of the 300 HAM’R as a 300 Blackout on steroids, in the hunting field the HAM’R will substantially out perform the BLACKOUT or 7.62×39 in all relevant areas: velocity, energy, trajectory and terminal performance. The light recoiling 300 HAM’R is an ideal choice for young hunters or anyone sensitive to heavy recoil. Target/Range: With its stellar accuracy and low recoil the 300 HAM’R is a natural for the range. During our extensive testing groups as small as .2” were recorded and sub .75” 100 yard groups were very common. All loads were produced with WC 300 HAM’R cases, reduce the above charge weights by 5% if using cases made from .223/5.56 brass. WARNING: Due to barrel bore dimension variations and powder lot differences WILSON COMBAT strongly recommends the use of a chronograph to work up loads in excess of the starting loads. Do not exceed the highest velocity listed for any load and do not substitute any other component for those listed. Velocities were recorded using a Wilson Combat 18” barrel with Labradar in 90-100 degree temperature. Reduce or add 12FPS per inch for shorter or longer barrels. NOTE: The 300 HAM’R is designed to use 110-150gr bullets at supersonic velocity and is NOT suitable for heavy bullet sub-sonic use. WARNING: The above loading data has proven safe in Wilson Combat firearms when used properly, but because Wilson’s Gun Shop, Inc., dba Wilson Combat has no control over the components used or individual handloading practices we assume no liability (either expressed or implied) for the use of this load data information. The 300 HAM’R has 18% more retained velocity, 40% more energy and a 56% flatter trajectory than the 300 BLACKOUT at 200 yards! Enhanced reliability due to the longer gas systems, 16.25” is mid-gas and the 18”/20” are intermediate gas system. Any AR15 platform rifle can be converted to 300 HAM’R with a simple barrel change and the use of 300 Blackout magazines. The 300 HAM’R with its 1-15 twist match grade barrel is optimized for accuracy with 110gr to 135gr bullets. Factory Starline produced 300 HAM’R cases are available, but cases can be made from common and available 5.56/.223 cases. The 300 HAM’R has a 300 FPS velocity and 400 FP energy advantage over the 300 BLACKOUT at the muzzle. 300 HAM’R rifles and barrels are available in 16.25”, 18” and 20” lengths with different profiles. The development of the 300 HAM’R has finally allowed the AR-15 to reach its maximum potential. 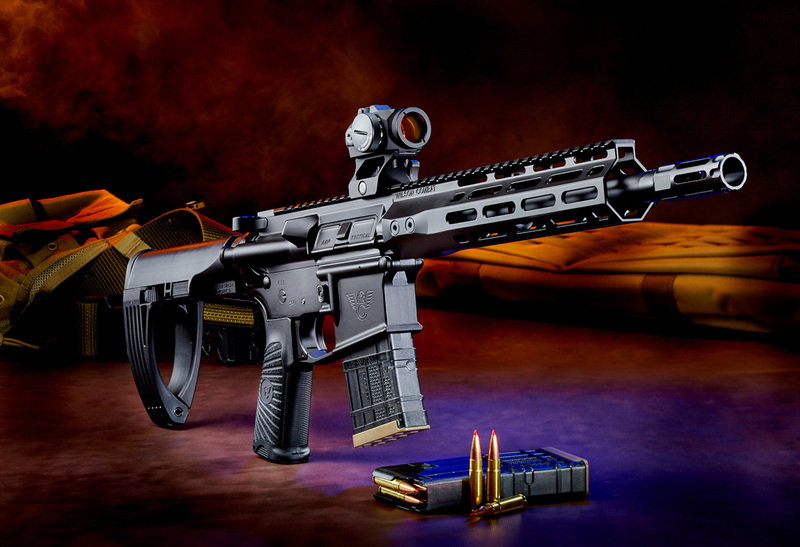 The 300 HAM’R is the culmination of my 10 year quest for the perfect AR based ranch rifle.” Bill Wilson, WILSON COMBAT President "For what it is worth, I think you have developed the ultimate defensive round for the AR-15. I know Bill's into hogs, but I can’t think of a better all-around cartridge for a defensive/offensive load. 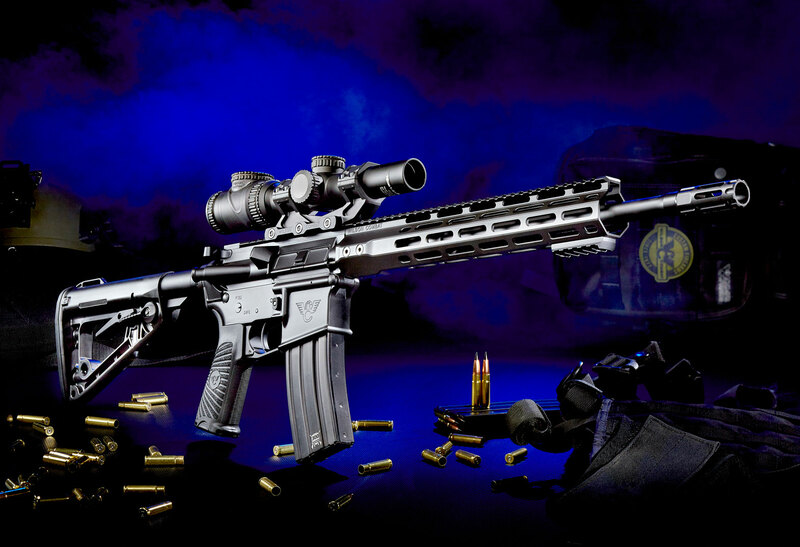 No rifle project WILSON COMBAT ever tackled in the past has been so thoroughly tested as the 300 HAM’R rifles and ammunition. In the 41 year history of WILSON COMBAT, I’ve personally spent more time on the development of the 300 HAM’R than any other rifle project. I’m going to make a bold claim that I can back up with proven performance. 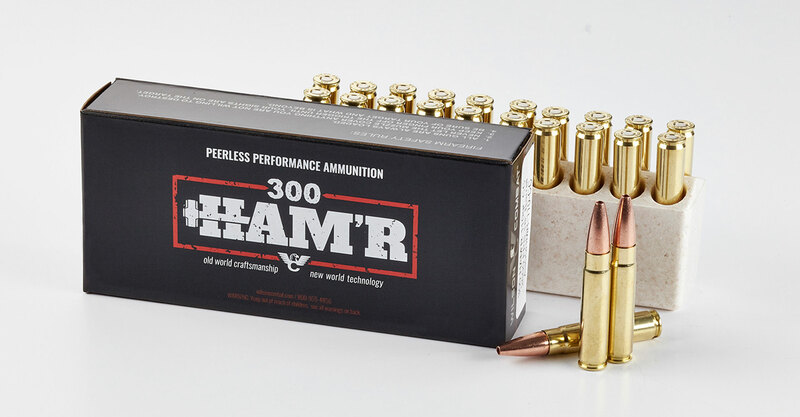 The 300 HAM’R is the most powerful 5.56 based .30 caliber cartridge that can be fired from the AR15 platform utilizing a standard .223/5.56 bolt. There is no “compromise” in the 300 HAM’R. 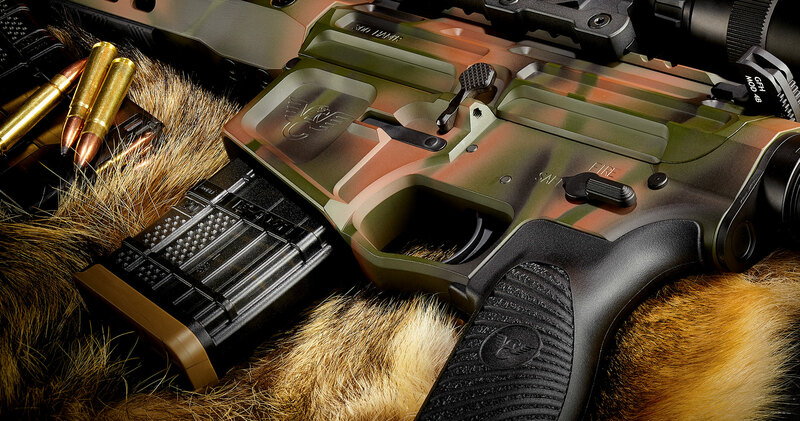 When combined with a quality AR it has become my weapon of choice for both hunting and personal defense. 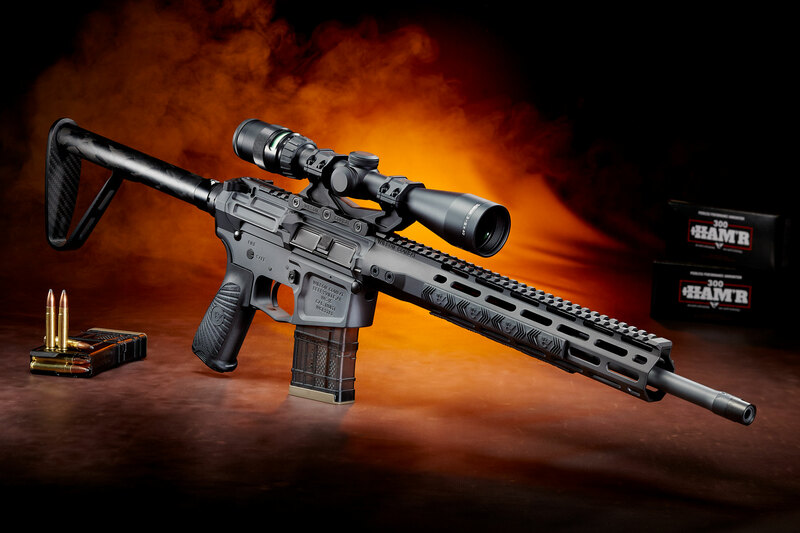 There’s always room for any product that offers unrivaled performance and that is why I’ll be buying this Wilson Combat rifle. The .300 HAM’R represents the high water mark in standard AR-15 terminal performance. It doesn’t matter if you’re shooting critters or steel, nothing will hit them harder than the .300 HAM’R.